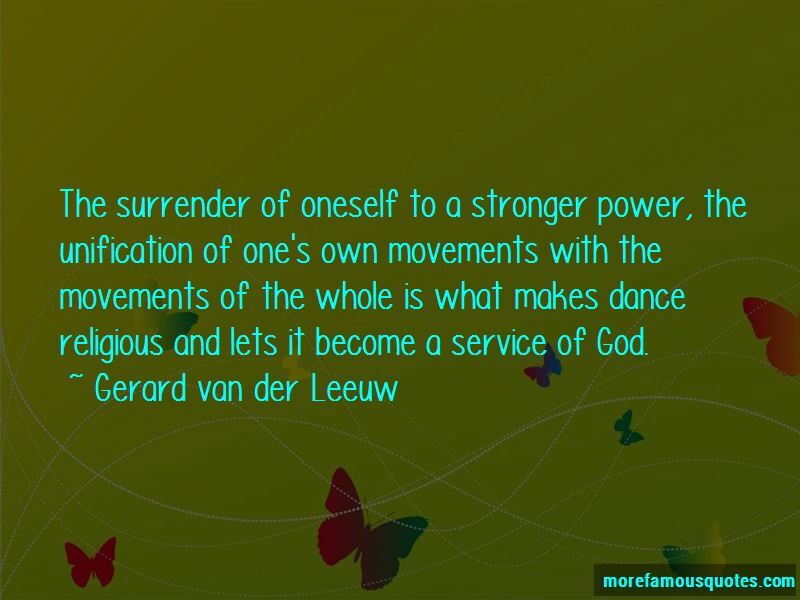 Enjoy the top 5 famous quotes, sayings and quotations by Gerard Van Der Leeuw. 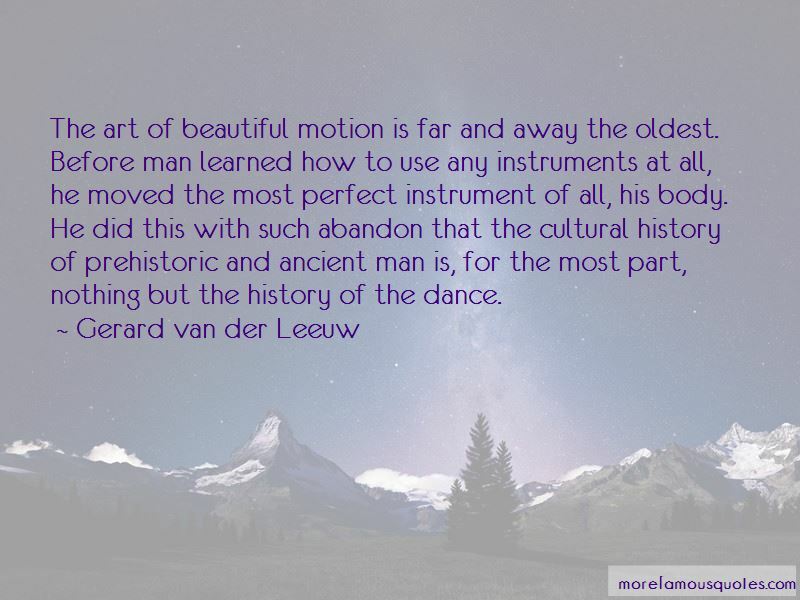 The art of beautiful motion is far and away the oldest. Before man learned how to use any instruments at all, he moved the most perfect instrument of all, his body. He did this with such abandon that the cultural history of prehistoric and ancient man is, for the most part, nothing but the history of the dance. 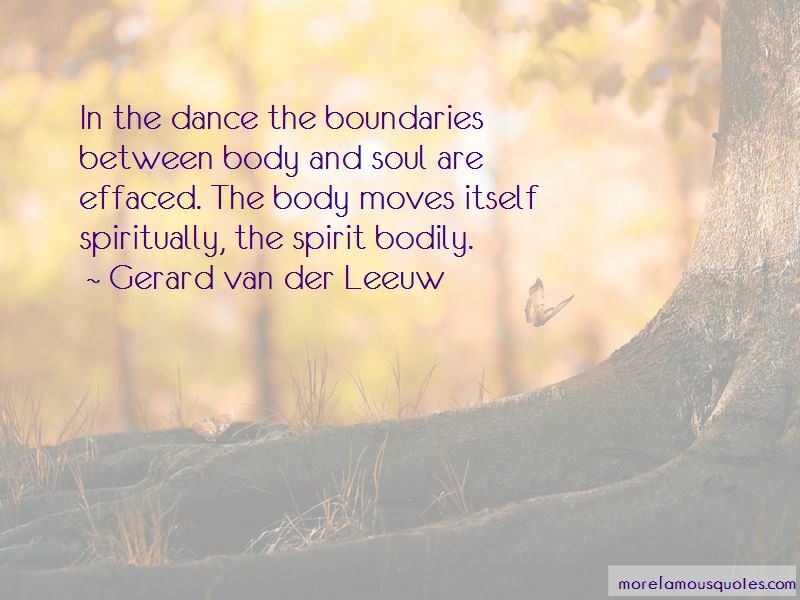 Want to see more pictures of Gerard Van Der Leeuw quotes? 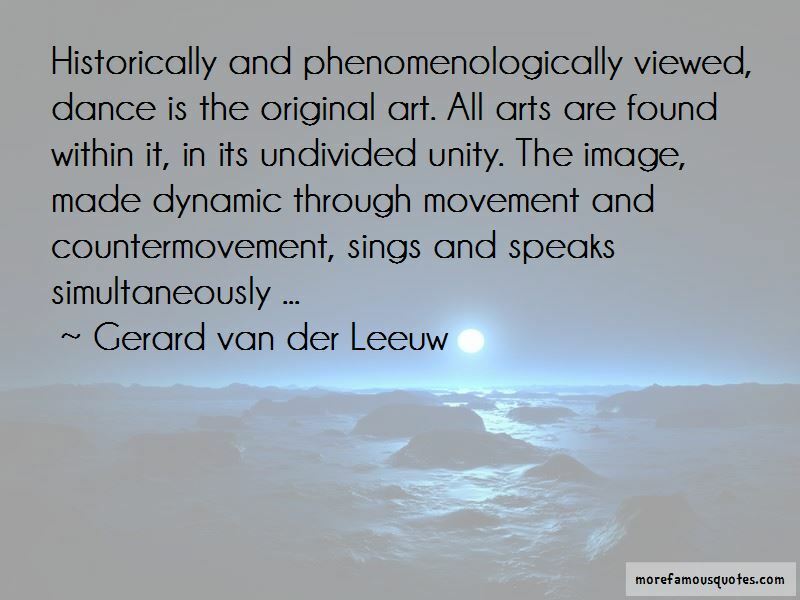 Click on image of Gerard Van Der Leeuw quotes to view full size.